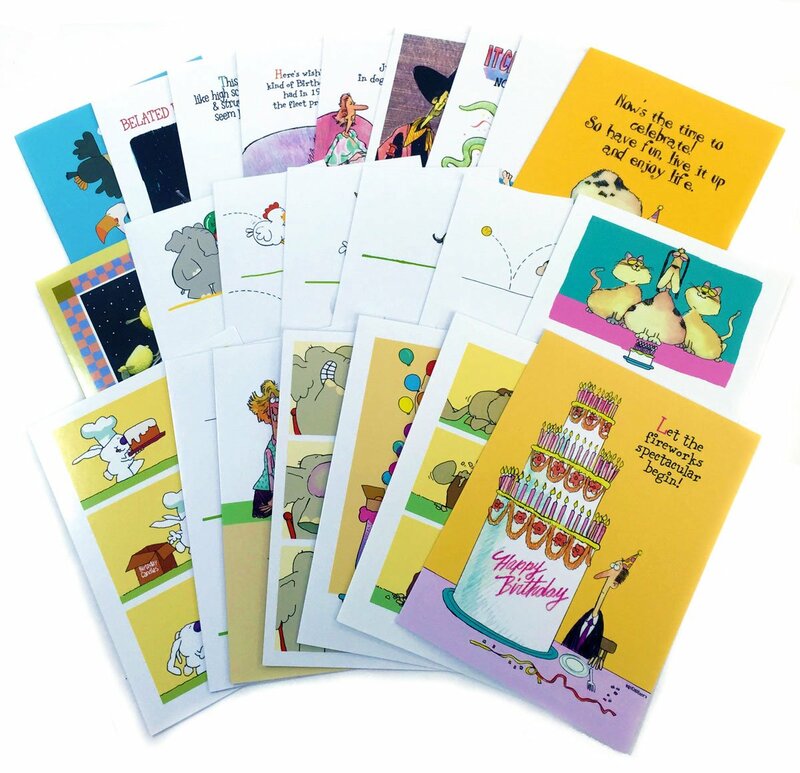 Assortment of humorous Birthday cards. One of each design. Printed on glossycard stock. Great assortment to have handy when you need a last minuteBirthday card.